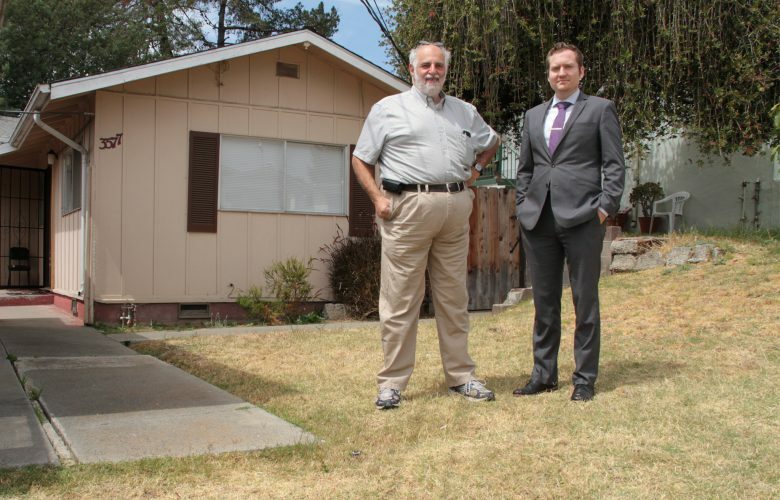 For years, Oakland has treated small property owners as a piggy bank, demanding ever growing penalties for minor, alleged building code violations and denying property owners any legitimate opportunity to defend themselves. But thanks to a PLF victory in the California Court of Appeal, that abuse will come to an end. Things got so bad that Alameda County issued a grand jury report condemning the city’s code enforcement agency for creating an “atmosphere of hostility and intimidation toward property owners.” The grand jury found that inspectors would issue inconsistent findings: one inspector would clear a property only to have another declare trivial violations. Once a violation was declared, property owners were at the mercy of the enforcement agency, the grand jury found. Property owners had no right to a fair and impartial appeal. If a notice of violation was in error, the property owner’s only recourse was to plead with the inspector to withdraw it. When the inspector inevitably declined, the property owner’s last resort was to ask the inspector’s supervisor to overrule her. But that usually proved futile because inspectors did not keep adequate records to allow that review and, even when they did, the supervisor had an incentive to deny reconsideration: the agency profited immensely from the fees charged for finding violations. PLF client Tom Lippman had more than $12,000 taken from him over trivial alleged violations at his rental property. His treatment by the agency also exemplifies the atmosphere of hostility documented by the grand jury. In 2009, he received two duplicate notices accusing him of vague violations. By calling the inspector listed on one of the notices, he learned that the problem was a weed growing through a crack in the sidewalk which he promptly removed and was told that the issue had been resolved. But the other notice kept being processed, without Lippman having any reason to suspect that fees were racking up against him. His only opportunity to contest his unfair treatment was to try to reason with the inspector’s supervisor, which was unsuccessful. He was charged nearly $2,500 in fees. In 2010, Lippman was in the process of evicting a tenant who had stopped paying rent. In an unsuccessful attempt to disrupt the eviction, the tenant staged several building code violations by kicking in vents, pulling down smoke detectors, and damaging the property. Obliging the tenant, an inspector issued a notice of violation against Lippman. Despite being the innocent victim of his tenant’s malfeasance, Lippman promptly fixed all the alleged violations except two that were not violations at all (a wrinkle in the paper covering some sheet rock and a water heater that had been installed by a prior tenant without his knowledge or consent). Ignoring Lippman’s argument, the inspector charged Lippman nearly $10,000, with no right to contest the decision. In response to the grand jury’s scathing report, Oakland did the bare minimum to quiet public outrage. Finally, it set up an appeals process for property owners unfairly charged for alleged building code violations. But the process set up was little better than no process at all. Under the city’s new appeals process, the enforcement agency itself got to appoint a hearing officer to hear appeals, allowing it to pick the judge that would review its work. There’s a reason why our law has long recognized the principle that “no man should be a judge in his own case”: it creates significant conflict of interest problems and leads to unfair results. The same is true when a government agency gets to hand select the person that will decide whether it gets to take tens of thousands of dollars from property owners. After learning about the grand jury report and the city’s response, Lippman decided to avail himself of the new appeals process. He challenged the fees from both the 2009 and 2010 notice, but got no better treatment this time around. Continuing its tradition of poor record-keeping described in the grand jury report, the city promptly lost the record and transcript for the 2009 notice and appeal. For the 2010 notice, the enforcement agency selected a former employee to serve as the hearing officer. During the hearing, the inspector falsely testified that none of the violations had been fixed. When Lippman questioned him, the inspector confessed that he could no longer recall what had happened but remembered that Lippman had disputed two alleged violations and therefore those had not been fixed. When Lippman tried to explain why he contested those alleged violations, the enforcement agency’s hand-selected hearing officer abruptly cut him off, promising that she would let him present his defense later. But she didn’t. Instead, she closed the hearing without every giving Lippman a chance to make his case and then, predictably, ruled against him. Fed up, Lippman took Oakland to court. The California Building Code requires every local government to establish a fair process to appeal building code violations. To ensure that fairness, the state gives local governments a choice: either establish an independent appeals board or agency to hear appeals or allow property owners to appeal directly to the democratically accountable city council. Attempting to avoid the obvious conclusion that it was violating state law, Oakland argued that the Court should reinterpret this statute to merely require local governments to establish some sort of appeal process, but to impose no requirements on what that process looks like. To Oakland, it was enough that Lippman was given a hearing before a hearing officer selected by the enforcement agency. Under the city’s theory, even the prior appeals process of asking the inspector or his supervisor to reconsider was enough to satisfy state law. The court was not impressed with that argument. We decline the invitation to construe the reference to an “agency” in section 1.8.8.1 to include a single hearing examiner selected by the very enforcement agency whose decision is being appealed. Ruling for Lippman, the court read the statute to mean what it says: Oakland must establish an independent board or agency to hear appeals or give Lippman an appeal to the city council. In a final attempt to avoid scrutiny, Oakland argued that its treatment of property owners is none of the state’s business. In California, like many states, so-called charter cities enjoy a degree of independence from state mandates. That independence makes sense in many contexts. Some issues vary from locality to locality. For instance, a building standard that makes sense in earthquake-prone San Francisco might be unnecessary in the mountains around Lake Tahoe or the desert around Death Valley. Oakland argued that the right to deny property owners a fair shake is part of the independence granted to it as a charter city. The court easily rejected that argument too. While the conditions leading to Lippman’s citations are indeed a local issue, the fairness of the procedure used to resolve citations generally is a matter of statewide concern. . . [J]ust as a state has an interest in securing “basic rights and protections” to public employees, it also has an interest in protecting the basic rights of property owners. The court of appeals’ decision is a welcome vindication of the basic rights of property owners. Governments exist to protect our rights, not to vitiate them. No city should look at its property owners with dollar signs in its eyes. Thanks to this important victory, property owners in Oakland and throughout the state will be entitled to a fundamentally fair process before the government takes tens of thousands of dollars from them. That’s something we can all celebrate.